On Thursday it’s the UK election. The most open for ages, and no-one knows who will come out on top – and more importantly what configuration any post-election coalition will look like. As a small set of islands and a dwindling economic and political power, elections in the UK should not really matter for the rest of the world. But bizarrely they do; and perhaps especially this one. The tectonic shifts occurring in British politics may have long-run consequences. Depending on the outcome and the political battles that follow, the UK could either split up – with the Scottish Nationalists demanding an early re-run of the referendum – or leave the European Union – with the Tory right and UKIP urging an exit. Any of these scenarios will mean major changes in how Britain (or perhaps a new union of England, Wales and Northern Ireland) interacts with the world. How then are the various parties addressing ‘international issues’, and African and development issues in particular? On African Arguments, Magnus Taylor and Hetty Bailey have offered a very useful summary of the different manifesto pledges. With the inevitable exception of UKIP, all the parties have committed to maintaining the 0.7 per cent of GDP commitment to international development. The Greens even urge that it be increased to 1 per cent. In the age of austerity this cross-party consensus to ring-fence aid money seems extraordinary. It is however a fragile consensus, continuously attacked by the right-wing press and others. Any post-election wrangling, particularly if UKIP are involved in some type of deal in alliance with the right-wing of the Tory party, will challenge it. But for the time being the view, forged by Tony Blair and Gordon Brown before 2010, that the UK should commit to an internationalist agenda, involving humanitarian and development aid is, amazingly, sticking. However, as the African Arguments piece shows, the way ‘international development’ is framed in the manifestos is – with some exceptions – very different to the hey-day of the late 1990s, when the Department for International Development was formed. Today, because of the political threat, aid is very much constructed as expenditure in Britain’s often quite short term interests. Aid is for building platforms for British business abroad (a return to a ‘mercantilist power’ – and of course competing with China who has no qualms about link aid and commerce); for quelling conflict and reducing immigration to Europe (and with the horrific scenes of boats arriving to Lampedusa, this is high on the news agenda); and for preventing Islamic extremism that may have an impact at home. Humanitarianism has not gone though, and the massive public response to the Nepal earthquake has demonstrated again, that small-island selfishness is not universal. However, the aid for trade agenda in particular has become very prominent under the current government, and DFID’s work is often indistinguishable from the export promotion wings of the Foreign Office and BIS, the Department for Business, Industry and Skills. The focus on ‘fragile states’ means the Ministry of Defence is also heavily embroiled in the ‘development’ agenda too. It remains to be seen if DFID survives this election along with its budget. Certainly in the last decade DFID has become a shadow of its former self, and very much lost its way (see this brilliant blog by my colleague, Robert Chambers on the extreme pathologies hampering DFID’s work). What does this all mean for Africa – and Zimbabwe in particular? Zimbabwe retains a peculiar fascination in British politics. There is an All-Party Group on Zimbabwe for example that provides an essentially anti-ZANU-PF/anti-Mugabe lobby group within parliament, with regular meetings, reports and parliamentary questions. It has been chaired for by the Labour MP for Vauxhall, Kate Hoey. Her website documents her ‘undercover’ visits to Zimbabwe in the 2000s and support for human rights and the opposition MDC. Her other passion for country sports and fox hunting probably makes for common ground with other members of the committee, who include a number of Tory Lords and establishment figures. The group reflects the very British complexion of political links with Zimbabwe. It includes Labour party human rights campaigners – with their backgrounds often in the struggle against apartheid (most notably Peter Hain, but also Baroness Kinnock – a leading member of the group, and someone who regularly asks questions on Zimbabwe in parliament), the Tory grandees with post-colonial connections to ‘kith and kin’ in Zimbabwe, and those more squarely interested in trade and business in southern Africa. This unlikely coalition have been brought together in the past 15 years with their support for the opposition in Zimbabwe and their detestation of President Mugabe. Lobbied by former white farmer activists from Zimbabwe, business associations, and diaspora networks, mostly notably the die-hards of the Zimbabwe Vigil, the Foreign Office and DFID are under continuous pressure on Zimbabwe. And too often, as I have found on too many occasions, subject to extreme forms of misinformation and bias. Nothing perhaps illustrates this better than the most bizarre of outbursts from the Mayor of London, prospective MP, and potential future Conservative Party leader, Boris Johnson. On the occasion of President Mugabe’s birthday bash in February, Johnson used a column in the Tory flagship, the Daily Telegraph, to let rip. 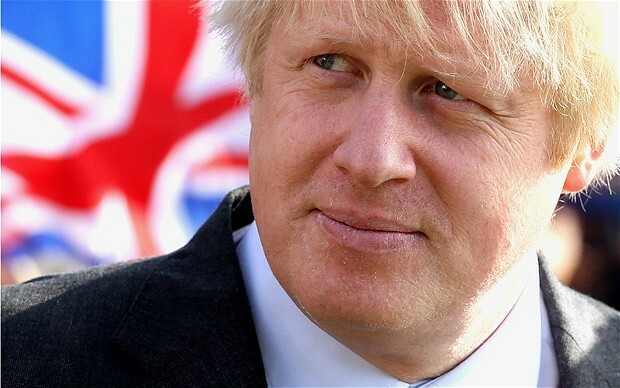 Too often dismissed as a posh buffoon, Johnson is a smart and dangerous political operator. And if Cameron and co stumble on Thursday, he could find himself in the top position in the Conservative Party, maybe in time even Prime Minister. So read his diatribe in this light – and be scared, very scared. While pitched as a pre-election jibe at Tony Blair (blaming Blair for appeasing Mugabe), it demonstrated in full flow the narrow-minded, colonial, almost racist, attitude of too many (highly intelligent – and Boris is no fool) commentators on Zimbabwe. As noted by Wilbert Mukori in his column the Telegraph piece was full of an “obnoxious and overbearing British imperialist mentality” that simply acted to boost Mugabe’s position. Of course the ZANU-PF spin-master, Jonathan Moyo lapped it up, and the clumsy intervention was used (as ever) rather effectively as a propaganda weapon in ZANU-PF’s on-going tussle with the British establishment. British politicians repeatedly fail to understand Africa, and perhaps especially Zimbabwe. From Clare Short’s disastrous letter on the land issue to this most recent outburst from Boris, the lack of appreciation of history, the gross insensitivity to global relations, and the absence of reflexivity of position and power, is flabbergasting. The 2013 elections in Zimbabwe were badly called by British diplomats, characterised by Richard Dowden as “the biggest defeat for the United Kingdom’s policy in Africa in 60 years”. I have no idea who advises the UK Foreign Office or DFID at the highest levels on Zimbabwe (it’s not me – they’ve never asked! ), but the lack of understanding is frequently quite shocking. It comes from their own isolation (they don’t get out enough), the extraordinarily poor reporting of Zimbabwe in the British media, and the briefings influenced by the London and parliamentary lobby groups of course. And their hands are tied by the strictures imposed by the UK and the European Union following 2000 – the ‘sanctions’ and ‘restrictive measures’ that have caused so much confusion and damage. With a European lead, the UK is beginning – sensibly, but all too slowly – to re-engage with Zimbabwe ‘on an incremental basis’. The overall UK aid budget has remained high but it has to be allocated very selectively – with new resettlement areas and support to post-land reform still out of bounds. This means that aid efforts get distorted, and the conversations that are needed to allow a greater ‘normalisation’ do not happen. And so with this misunderstandings and misperceptions continue. Applying diplomatic pressure and focusing aid is of course perfectly appropriate, and I subscribe to nearly all the broad objectives of the UK aid programme, as outlined on the website. But much of this gradual, painfully slow, movement in the right direction may be undermined by the outcomes (immediate, and longer-term) of this election. What if the UK leaves Europe? This will leave UK diplomacy very exposed in Zimbabwe, as elsewhere. What if, in time, Scotland leaves the UK? 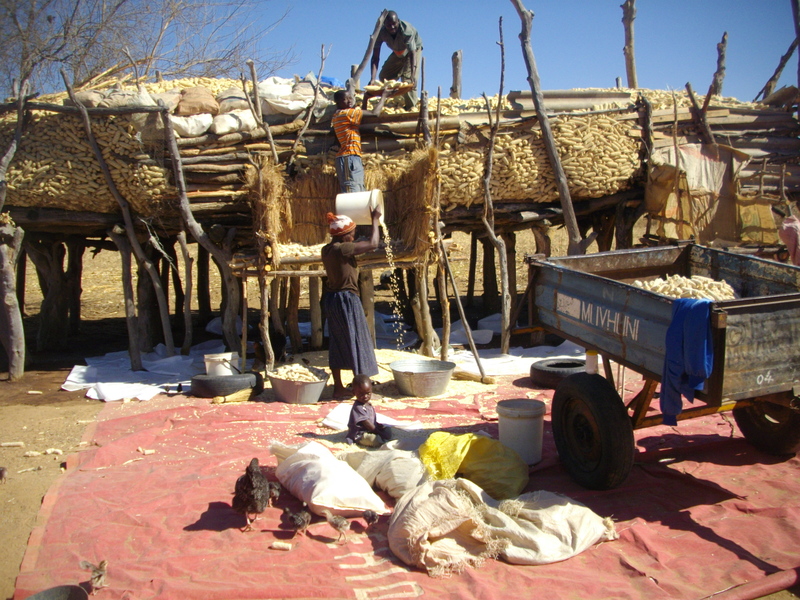 Will there be a radical, progressive Scottish aid programme in Zimbabwe, alongside DFID’s? Maybe. And what if the likes of Boris Johnson, with a bunch of UKIP allies, take over? Heaven help us. Despite Britain’s dwindling power and economic influence, elections in the former colonial power do still, strangely, matter, so look out for the news on May 8, and the days and weeks that follow. In recent years urban, and perhaps especially peri-urban, land has become the centre of major political struggles for control in Zimbabwe. There is huge demand for housing in urban and peri-urban areas, very often from people with a foot in the rural areas but a need for an urban base. The costs of plots has sky-rocketed, and there are many, including those with resettlement farms making profits from farming, investing. As with any valuable resource, this attracts those who want to control it. The control of urban land has become intensely political. Notionally controlled by municipal councils, urban land use and house building is supposed to be highly regulated. Indeed the building regulations in Zimbabwe are some of the strictest in the world. However in areas of the urban periphery there is more ambiguity. Former farm land that is being bought and sold illegally for new housing developments, creating often massive new settlements around Harare in particular. These areas are becoming a site of major conflict as chiefs or other local officials sell of land parcels to developers disenfranchising local people. This land market boomed particularly during Zimbabwe’s economic crisis, when land was privatised, and deregulation occurred. Those able to exploit the ambiguities of the system, and make gains on currency deals profited massively. The result has been significant accumulation by certain elites, along with invasions of land for new quasi-urban settlements. Mandi Rukuni has called for new regulations to manage such land, and for a more effective land use planning and zoning system. However a technocratic land use planning system may not be enough, as such areas are also sites of political contest and patronage. Electoral politics have had a big influence. ZANU-PF’s electoral strategy in 2013 was focused on such areas, with enticements being offered to people joining ‘housing cooperatives’ that were controlled by individuals with close ties to the party. 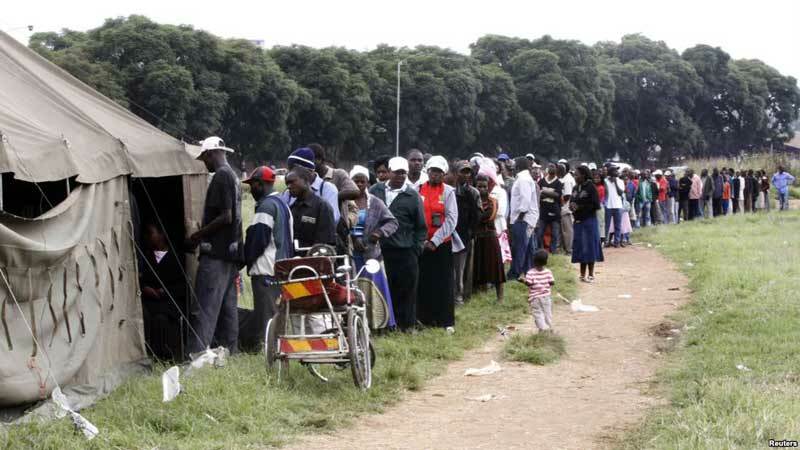 These new urban voters, often poor and in need of housing, duly repaid their debt, and voted in ZANU-PF in areas previously controlled by the opposition. Some housing coops turned out to be bogus and people were enticed there without legal rights often to stands with multiple claimants. Some were later evicted to make way for big-time developers with political connections, while others remained living in appalling conditions in unserviced shacks with limited facilities. After the election, ZANU-PF again announced its intentions to consolidate its gains by ‘regularising’ illegal settlements, including proposed demolition of informal settlements. With land consolidated in the hands of well-connected developers, their aim is to again hand out plots and assure electoral support in 2018. Focusing on Ruwa and Norton near Harare, as well as Harare’s central markets, Jo McGregor shows in a recent paper how MDC councillors and municipal officials were intimidated, often violently, and were unable to fulfil their duties, and an alternative system of authority was established through party officials, youth militia and housing cooperative functionaries, supported by surveillance and control by the Central Intelligence Organisation. This was all allegedly coordinated from the highest levels, with key individuals, most notably the Minister of Local Government, Ignatius Chombo, being implicated. Some party-connected elites reputedly made huge amounts of money. Rudo Gaidzanwa in a recent presentation retold the same story, but also asked who these new urban residents were, and what their aspirations and motivations were. While the political machinations around land and votes in urban areas drove a lot of the process, there were people who benefited from this. Gaidzanwa identified women as prime beneficiaries. She argued that due to lack of rural land rights due to ‘customary’ law, and lack of inheritance rights in practice, many wanted urban land and housing for alternative livelihoods. These included widows, divorcees, single women with families as well as entrepreneurial women with a rural base but in need of a stable urban home to raise their families, and gain access to schooling and health care absent in the rural areas, particularly the new resettlements. A diversity of such people were happy to join the coops and play along with the political game in order to gain much needed security of housing and land, unavailable to them elsewhere. Others were looking for sources of investment from the profits of farming. In our work in Mvurwi in Mazowe district, the high profits from tobacco are fuelling investment in land and housing in towns and cities, including in the politically-run housing coops, but also in other less controversial private schemes. An agricultural boom presents some new challenges, including the question of where the surplus money goes. Jo McGregor’s paper was based on discussions with MDC councillors and activists, and clearly reflects that standpoint. She concludes that the ZANU-PF driven land acquisition, replanning and housing investments are a clear example of state-directed party-based patronage, geared to electoral gain and personal financial benefit of an party-connected elite, including ministers, senior military officers, and others of high status. In this, she is clearly correct, and the scandals that surround urban land and housing are regularly in the newspapers, particularly in the peri-urban settlements on the edges of the main conurbations, are witness to how this is an important and widespread phenomenon. Deep forms of corruption have become, in Sarah Bracking’s terms, a ‘technology of governance’. However such accounts do not offer the perspectives of those who benefited. They may well have voted for ZANU-PF, but they are not the elite who are extracting the massive rents from dodgy deals, illegal sales and housing scams. Instead they are a significant group of often younger people, very often female, who have not got land in the rural areas. Some are displaced farmworkers or those whose housing was destroyed by Operation Murambatsvina; neither likely ZANU-PF supporters. Also, the land reform is now 14 years ago, and there are plenty who did not get anything. Equally, many do not wish to make a living solely on the land, regarding it as too much hard work, and would prefer to use their education to get a chance in town. Still others want to maintain a bridge between town and countryside, investing the agricultural profits in housing and urban land, guaranteeing a good return. Those now living in these new (peri)urban settlements are a diverse group, with different interests, affiliations and needs. They are embroiled in a political contest over land, resources and political control, but should be part of the story. Expanding opportunities for low-cost urban housing in the end must be a good thing. And if this is part of an electoral strategy, then ZANU-PF seem to have followed rather successfully in the footsteps of Margaret Thatcher in the UK in the 1980s. Stories of ruthless property developers linked to local political elites making huge profits from the poor in the context of a land and housing bubble is of course not exclusive to Zimbabwe either. Although it is no excuse, the urban politics of the US and Europe can be read in a similar way. 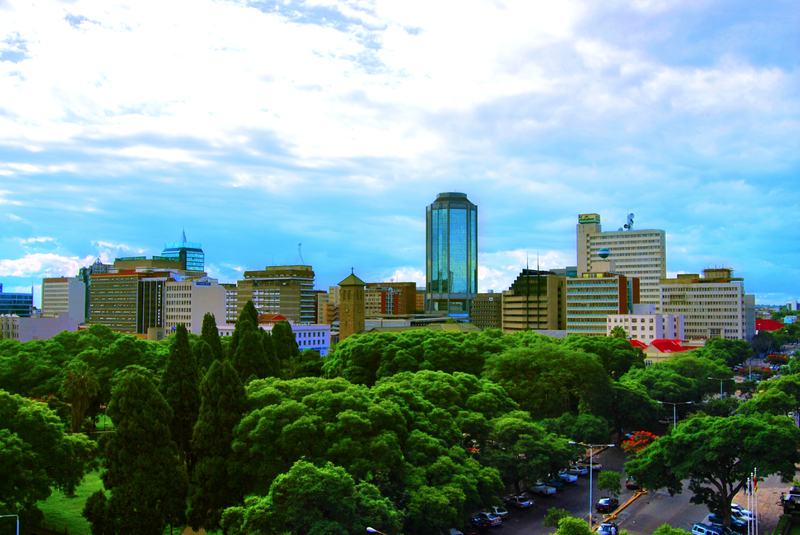 However, for Zimbabwe, removing corruption and patronage, and excessive rent-seeking, from such land and housing deals must be a priority, as this offsets the potential redistributive gains to be made. As urban land is transformed from the exclusive preserve of the propertied elite to open up opportunities for land and housing for others, the new peri(urban) land users urgently need a voice. Last week I was in Italy at the invitation of the University of Bologna to talk at a day conference on ‘State, Land and Democracy in Southern Africa’. The morning was taken up with discussions on Malawi, Mozambique, Tanzania and Zambia, while the whole afternoon was devoted to Zimbabwe. It was a great discussion, and it was interesting how many of the themes from the wider region resonate in Zimbabwe. Zimbabwe clearly does not have a monopoly on land being used as patronage, uncertainties around tenure regimes, debates about the role of large-scale farms, ‘land grabs’ and the role of private investors, or even the use of land as a tool in electoral politics. This seems to be standard fare across the region. Yet the fascination with Zimbabwe remains, and the debates framed by extremely polarised narratives and poor understanding of empirical contexts continue. The Zimbabwe debate however seems to be maturing. There is a recognition that, whatever the fiddling, the elections of 2013 represent a turning point. The future is uncertain, but the land issue, and with this the role of rural electoral politics, is crucial. In my paper I argued (as I have done before in this blog) that the emergence of a new class of ‘middle farmers’ on the resettlements (both A1 and A2) is important to the understanding of the new political dynamics of the countryside, and any assessment of the 2013 election. This group represents diverse interests, coming from both ‘peasant’ (communal area) and urban worker backgrounds, as well as having a fair share of the salaried class of civil servants. Yet, despite their disparate origins and class positions, they are bound together by a continued commitment to rural production, investment and accumulation, as ‘petty commodity producers’ and ‘worker-farmers’; even an emergent ‘rural bourgeoisie’. Pitched against an elite group connected to and benefiting from ZANU-PF party, military and business networks, there is a tussle between different visions of the future, linked to very different patterns of accumulation – from below and from above. These on-going contests over land and styles of production are central to the future of the Zimbabwean state, and wider polity. I discussed two broad case study areas in Masvingo province: the ‘core land reform areas’, where land was taken from white commercial farms, and where there is a high density of A1 and A2 settlements in relatively better agroecological potential areas, and what I termed the ‘peripheral areas’ of the lowveld, where land reform was more contested – on the sugar estates, the large state farms and trust lands and in the wildlife areas. Here attempts at elite capture by big ‘chefs’, connected to capitalist interests in sugar, ethanol and wildlife production for example, are being resisted actively by those who demand land. The balance of power is uneven, but surprisingly we see repeated victories by those who are seemingly less powerful, and the state and its allies often find it difficult to see through their vision in these areas, given the volatile politics and uncertainty on the margins of state power. What of the longer term future given this political dynamic? Of course, as discussed so many times before, Masvingo doesn’t reflect the situation everywhere, and there are a diversity of contexts and outcomes. However there are some basic patterns that the Masvingo cases give a window on. One scenario for the future sees a capture by the elite, and the extension of patrimonial relations between elites and national/international capital, ultimately excluding the alternative voices and futures, and quashing future resistance. This can be achieved of course only through the persistence of violent, non-democratic and ‘obstructive politics’ typical of the ZANU-PF regime. Another, more optimistic scenario, sees the emergence of an organised middle farmer group with economic and political clout, and crucially with a key role in feeding urban populations and providing foreign exchange through producing strategic crops (currently of course primarily tobacco). They in turn push the state to respond to their demands resulting in a regearing of state efforts in rural areas. This scenario thus offers the opportunity of rebuilding a responsive, more democratic state from below. I argued that we should not reject the latter scenario, even if the former remains currently the more likely default. The shifts in electoral fortunes in 2013 might indeed indicate the power of such a voting block. And unlike the rural populace before, such people may not be kept quiet with sops in the form of food aid or subsidised fertiliser. They will demand more and, like the forms of resistance seen in the lowveld for instance to elite grabs, they may become more assertive and act to hold the state, and associated elites, to account. Ultimately a rebalancing of political forces will be required, and here a revamped opposition will be key, as they may be able to appeal to an entrepreneurial, middle farmer class in the rural areas. To date, without a convincing narrative on land and rural development, the MDC has failed dismally, but hopefully as they lick their wounds from the 2013 defeat, there is some thinking going on about how to engage a still largely rural electorate in issues that matter to them. In particular, this will require thought about the type of constituencies that are emerging now as a result of processes of differentiation and class formation following land reform. The relationship between state, land and democracy in Zimbabwe is far from settled, but we may be getting glimpses of the future, beneath the current turmoil that are worth looking at in more depth. Developing this conversation at a regional level, as this conference did, is especially useful.